STARDOLL FREE | Underneath Stardoll Blog: Curiosity killed the cat! It is not safe to visit any suspicious links posted by anyone. You can get your account stolen just for being curious and visiting the wrong site! Last month a hacker set a cookie-stealing trap on his fraudulent site. This trap allowed the hacker to hijack the current sessions of dolls who visited his site, even if the visitor did not give any log-in information. By the way, let us be clear about terminology. A scammer is a con artist who tricks people into giving sensitive information. A hacker uses code and software to break into accounts. You can chose not to give your information to a scammer, but a hacker that tricks you into visiting a trap does not need further cooperation to steal from you. Visiting a phishing site while your cookie is active allows a skilled hacker to steal your doll. 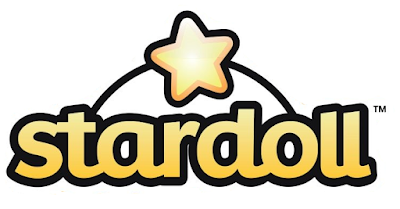 When you log into Stardoll, you activate a cookie, which is a small bit of programming language that enables you to use Stardoll. Lately, I am seeing many dolls being stolen because they went to outside sites to look for rares, DKNY, free membership, stardollars, starcoins. Here are some examples of presentations that have phishing/scam site links (which I covered, of course, to avoid the curious to visit them). See how they say it only works for superstars and Royalties? These are the dolls they want to steal. 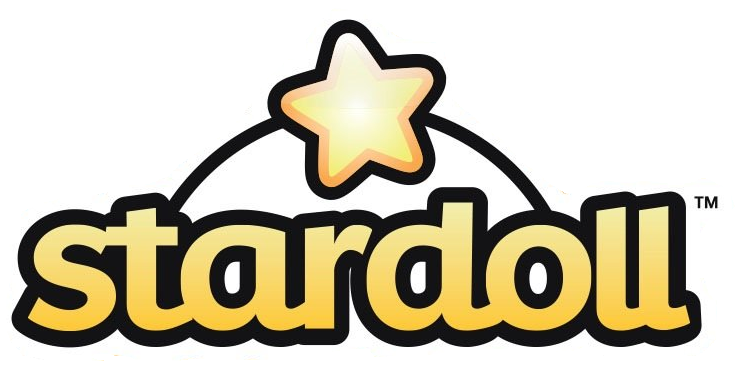 Always look on the URL to see if you are on the Stardoll legitimate page, in other words, there should be "www.stardoll.com". If the page looks like Stardoll but the address in the URL is not this one, then it is what we call Phishing site designed to steal your account / money / rares. 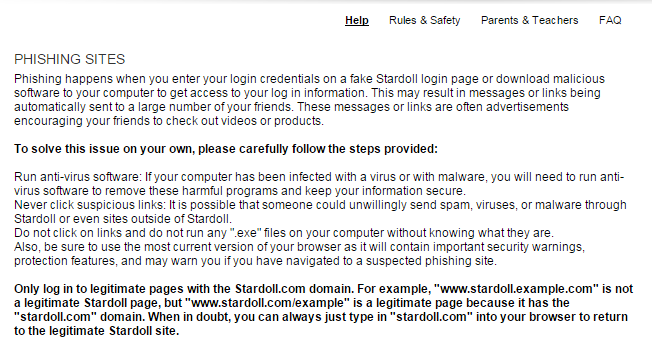 Also, some of these sites can have malware that can steal much more than what you have at Stardoll. If you want to read more about this, Madeleine St Michael wrote about cookie stealing in her Kindle book "Stardoll Cheats". She witnessed what happened 6 years ago when one of the top designers was tricked into visiting a cookie stealing trap. She was told the link was to a blog post about her designs. The hacker has set a trap at the blog. On this day the hacker got away with a big score. Thousands of stardollars were stolen from the designer's account. You cannot tell if a link is safe. The simple solution is the easiest: Do not visit suspicious links! !